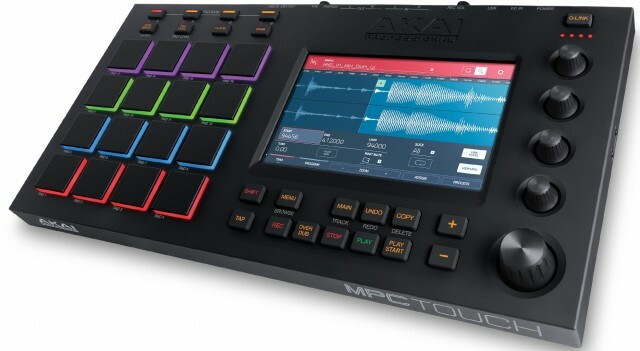 MPC lovers, you finally get a piece of hardware with everything in one place: touch, color displays, pads, buttons for workflow access. There’s just one catch: you will still need the computer. Ever looked at those beautiful color waveforms on Native Instruments’ Traktor and Maschine controller and wished you could touch the screen? Imagined pinching to zoom waveforms and navigate samples, the way you can on an iPad? 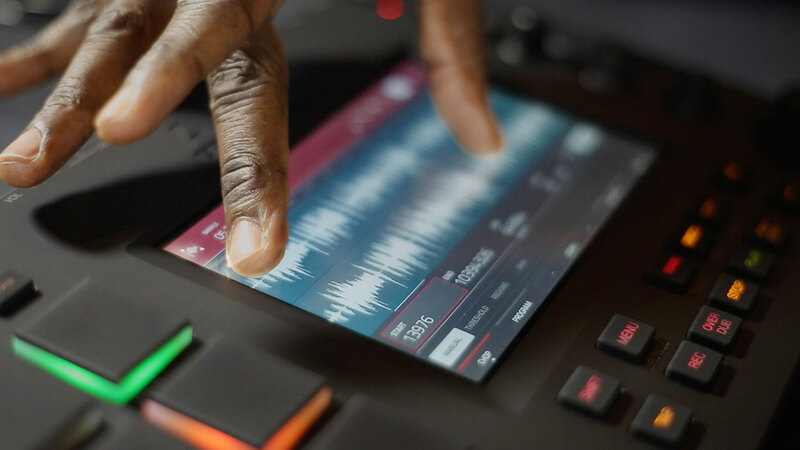 Well, Akai are the first to do groove-making hardware that combines physical pads and a touchscreen in one unit – no iPads (or Microsoft Surfaces) in sight. 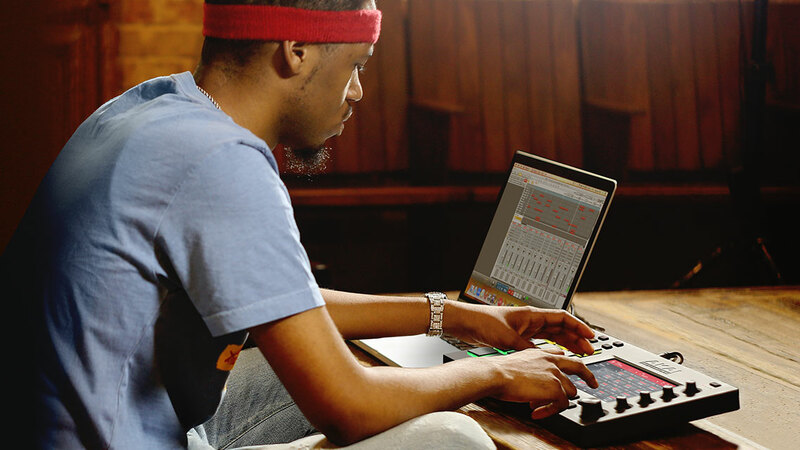 Today’s MPC Touch also does something else Maschine and Ableton Push don’t do – this slim-line hardware has an audio interface built in. That means you don’t need an extra piece of kit just to hook up to a PA (don’t mention the MacBook headphone jack) or to sample sound (oh yeah, that “sampling” idea of sampling workstations). There’s even what they call “XYFX” — an X/Y controller for real-time effects, in the tradition of the KORG KAOSS Pad (and many other things). Now, that isn’t a sure win. It’s actually really satisfying to reach out and grab a knob for some of these features, rather than a touchscreen, on some of the rival hardware. A big question will be how well the touchscreen itself responds. The on-screen interface looks refined and attractive, though, if conservative – and the same can be said of the hardware. It also means there is a really clear, compact control layout for everything else. And you’ll see the usual Akai workflow shortcuts, like Note Repeat, and quick access to features like overdub. 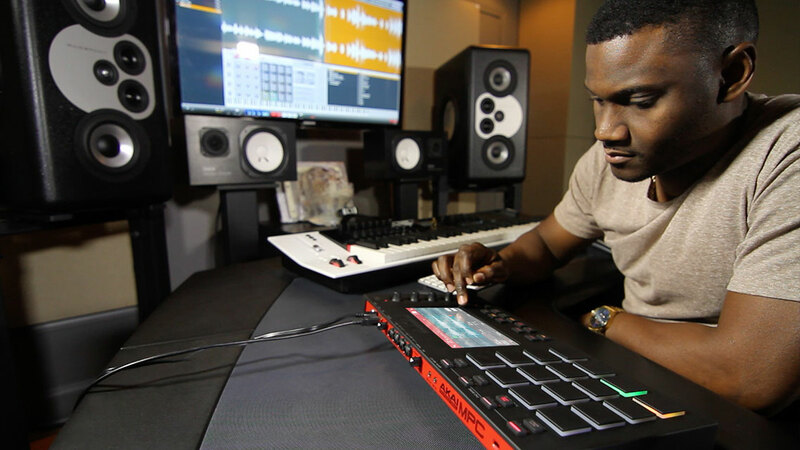 Behind the scenes, you still use the Akai MPC software. And I suspect that will leave some people scratching their heads and wondering why Akai didn’t simply make this standalone hardware so you can untether from the computer entirely. But while the computer is still in the background, Akai’s appealing approach to tasks like recording and immediate control are right on the hardware. It’s too soon to judge without trying it, but I think it is the best rival to the Maschine and Push workflows – each of them distinct – with something that is unique. So what’s running under the hood? I asked the folks at Akai to tell us more about what they’ve done. That’s an actual, touchable screen for your computer. It’s a bespoke platform with a custom touch solution. The screen is a customised Display Link USB-attached screen, under some cunning control from us. This means that you have the ability to also use MPC Touch as a desktop extender, and put other software on the screen, if you so choose. The MPC Touch has a new independent track length feature which combined with the new step sequencer (see picture [on the site]) is something truly special. You can set any track to a different length in realtime doing this from the step sequencer gives an MPC user the potential to work in new ways. In the Step Sequencer you can enter or remove steps with either the pads or on the TUI via the note steps beneath the velocity sliders, you can use the TUI to adjust the velocity of any step, dragging your finger across the screen allows you to draw in velocity patterns, you can nudge the pattern with the onscreen < nudge > , theres also a overall slider for trimming the velocity of all steps and section with preset shapes. The gestural editing and tweaking via the TUI combined with the traditional pads makes the creation of drum parts way easier than your traditional drum machine step sequencer where things like tweaking velocities is a slow process. You can have as many instances of the XYFX as you have programs! And they can be automated into the sequencer. Pricing/availability: UK Price 499 GBP (so we’re still well under a grand in Euros and USD; I’ll get final pricing). Availability November 2015. That’d be a cool hack, in fact. 1. We’ve got a new Surface line from Microsoft, including a flagship laptop, that will run your favorite music apps in Windows. 2. We’ve got a new Bitwig Studio that has been redesigned with touch in mind. 3. We’ve got hardware control with a touchscreen built-in from Akai. And, of course, you could choose to combine all three of those.